Wardrobes are an essential addition to every bedroom. These can be completely customised to enhance functionality and maximise storage space. Designs can be adapted to any space without compromising on aesthetics. 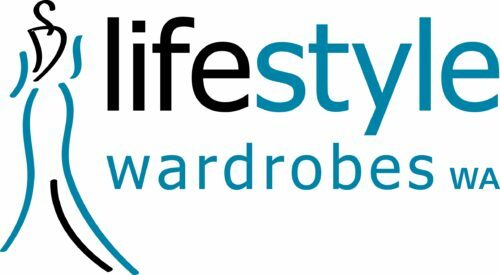 Lifestyle Wardrobes brings complete storage solutions designed to your lifestyle. We offer a level of customisation that is simply not possible anywhere else. With the latest styles available, the result is a stunning finish built and installed to all specifications. Our products are manufactured using quality materials to ensure a durable finish. Even with limited space, we deliver solutions that make the most out of any area. You still remain in complete control over every aspect so the finished product fits your exact requirements. Contact us today to schedule a free measure. Walk in wardrobes: Choose from a combination of drawer units, adjustable shelving units, and storage racks. Our available options combine to deliver even more functionality and can be arranged in any configuration. Built in wardrobes: We assist with complete storage solutions that is unique for each project. A number of options from drawer units to adjustable shelves and sliding door finishes are available. Hinged door wardrobes: This look offers a stylish finish that is commonly found in Victorian and Federation homes. We offer a selection of hinged door options available in different finishes in addition to a number of storage options. Sliding doors: We manufacture and install sliding doors in a wide range of styles for a truly unique look. The matching frames and tracks provide smooth operation when opening or closing the doors. Ideal solution for confined spaces. Storage cupboards: All cupboards are designed to increase storage space and are manufactured from quality materials. These are perfect for any part of the house from bedrooms to kitchen pantries and living rooms. Drawers, shelving, and hanging: Add even more functionality to your wardrobe with a selection of drawers, shelving units, and hanging racks. The possibilities are truly endless with configurations to fit any requirement. All installations are performed by our qualified cabinet makers and come with a 10 year guarantee. If you prefer to do your own installation, we also offer a DIY option. The products are delivered to your home and ready to be installed. View our gallery for examples of previous projects we have completed.